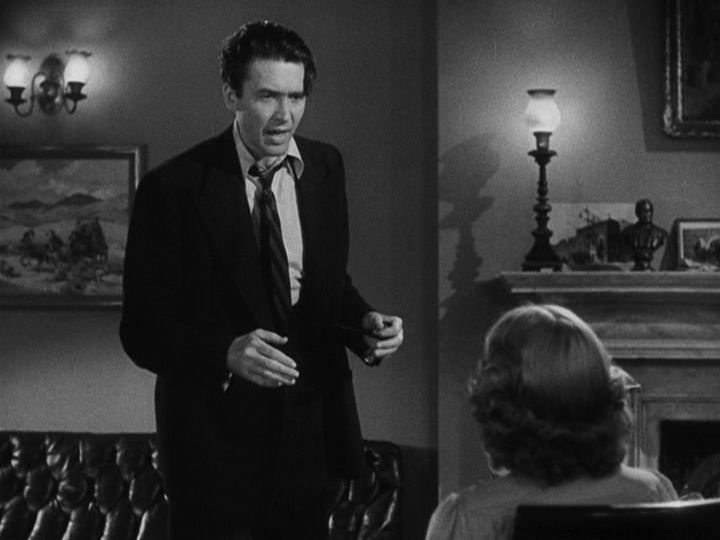 A naively idealistic new senator (James Stewart), aided by his cynical secretary (Jean Arthur), must confront an immensely corrupt political “machine” in Washington, run by Edward Arnold and fronted by two-faced Senator Joseph Paine (Claude Rains). Peary accurately labels this classic political soaper “Frank Capra at his corniest, hokiest, and most manipulative”, yet he goes on to argue that “Still, it’s a great film”, and places it a notch above Capra’s earlier take on the same general theme, 1936’s Mr. Deeds Goes to Town (which was originally meant to be this film’s prequel). He notes that “like other Capra heroes, Stewart’s Smith” — a “great hero” — is the “American everyman, an idealist with a tendency toward demagoguery when he wants to right a wrong”, someone who “is on the brink of giving up and allowing the people he represents to be swallowed up by corrupt influences, when someone he has inspired reminds him of his importance and all the worthy things he stands for”. 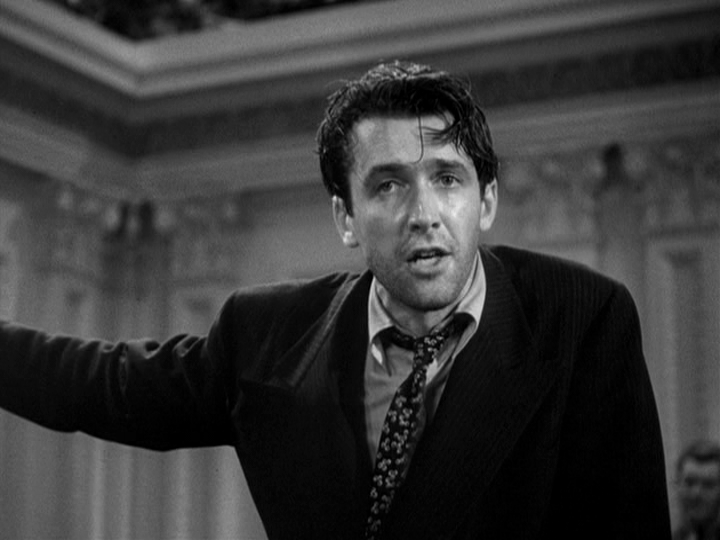 Mr. Smith… is beloved by many: it’s cited as one of the most inspirational political films of all time, and the justifiably praised extended filibuster sequence during the film’s final half-hour affords Stewart a chance to truly shine (he shows definite hints of his later, more fully developed characterization as George Bailey in Capra’s true masterpiece, It’s a Wonderful Life). However, I’m not entirely a fan of this highly sincere yet ultimately slickly contrived political exposé. 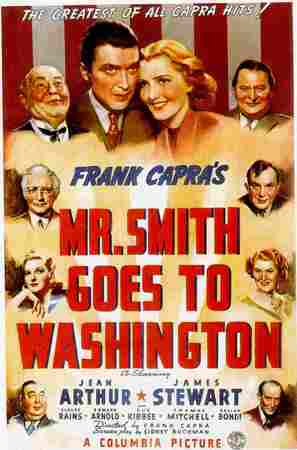 While I don’t doubt for an instant that Washington, D.C. really is as corrupt as Capra depicts it here (that’s pretty much undeniable at this point), I dislike the way Sidney Buchman’s screenplay presents Mr. Smith as the ultimate in gullible naifs, someone so incredibly clueless about politics that he needs to be told (by Jean Arthur, in a conveniently calculated scene) how bills are developed and passed in Congress. We’re meant to believe that Stewart’s idealistic leader of the “Boy Rangers” of America would accept a job as temporary senator of his state without even a minimal understanding of what his job entails, simply because he purportedly has idolized his father’s “best friend” (Rains) for years (this essential detail, by the way, is merely hinted at rather than sufficiently developed). Indeed, unlike Cooper’s Mr. 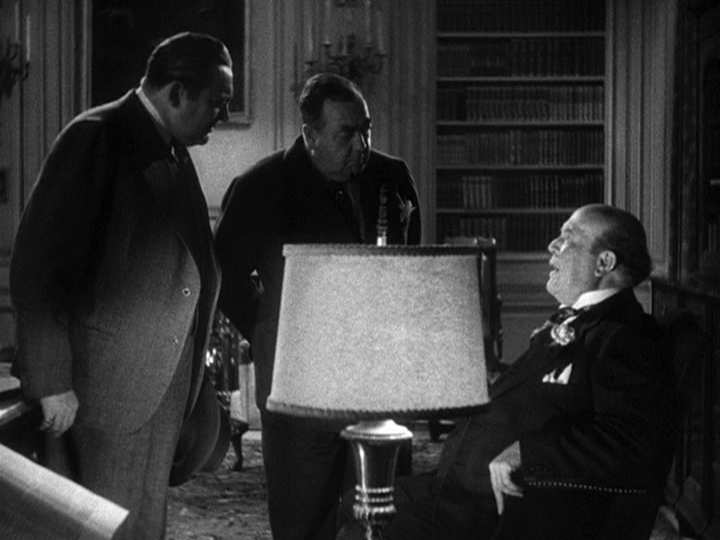 Deeds (who is almost immediately shown to be infinitely smarter than the arrogant fools around him make him out to be), Stewart’s Mr. Smith remains conveniently clueless — up until the moment he’s finally convinced he needs to take action, at which point his character suddenly springs to life, and one watches with impressed astonishment at Stewart’s full-bodied characterization of a man willing to take the Senate floor for 24 hours straight. Meanwhile, the outrageously corrupt political “machine” continues to churn around him, and Capra pulls out all the stops in his depiction of the “little men” (in this case, “little” Boy Rangers, of all ages and conveniently represented ethnicities) fighting to bring Truth and Freedom to Washington. Despite my reservations, naturally, there remains much about the film to enjoy and admire — starting with Stewart’s showstopping performance in the final third of the film. 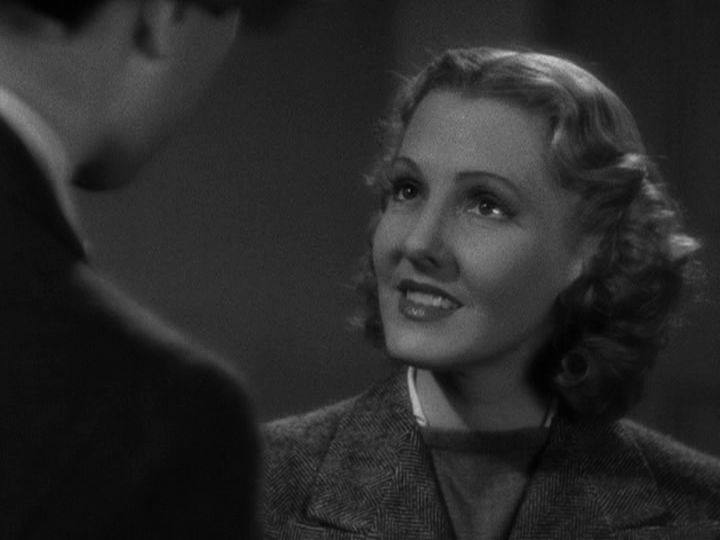 Jean Arthur is as wonderful as ever in an even more cynical variation on her earlier role as the journalist in Mr. Deeds Goes to Town; here, she’s notoriously tippled much of the time, and she’s not quite as much of a romantic partner for Smith (Peary argues that they make “a wonderful couple”, but they technically AREN’T one). 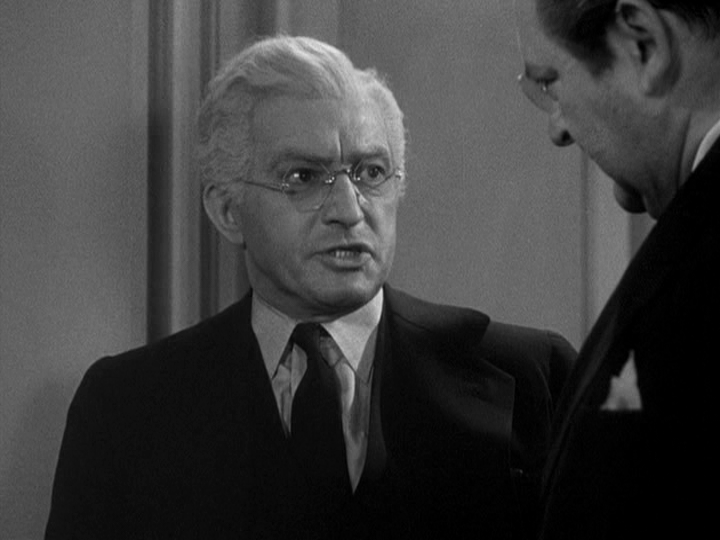 Rains — who was nominated for an Academy Award as Best Supporting Actor — oozes quiet corruption in his almost perfectly realized turn as Senator Paine, though I couldn’t help being irritated by his failure to lose his British accent for the role. Joseph Walker’s cinematography is typically atmospheric, and the recreated set of the Senate floor is quite impressive. Ultimately, however, I’m too much of a cynic to fully appreciate the type of unabashed heart-thumper Capra is going for here. For a much more authentic and nuanced representation of the inner workings of Washington, D.C., watch Otto Preminger’s Advise & Consent (1962) instead. Yes, as one of Capra’s iconic classics. Nominated by Peary as one of the best films of the year — in a year notoriously filled with “classics” — in his Alternate Oscars. I suppose I’m less of a cynic. Even though this film represents small potatoes when it comes to the overwhelming issues that plague Washington DC today, I think it’s clear that politicians (and the rest of us as well) can take a lesson from the film’s main premise: in politics, you can’t claim to be by/of/for the people if your modus operandi is throwing up smokescreens to cover deceit. I’m confused by Peary’s sentiment about this film. You can’t really say it represents “Capra at his corniest, hokiest, and most manipulative” and then go on to say “Still, it’s a great film.” It can’t be both. Personally, I think it is a great film. I sometimes think people go a little overboard when they are quick to label Capra as “corny”. I’m not going to say his work is completely free of sentimentality – but he’s a better director than that and doesn’t really deserve such a dismissive term. As well, though I think it’s fair to say that the script for ‘Mr. Smith…’ takes some license with political reality to cover some of its points, I can see that Stewart’s character is, in a sense, a stand-in for audiences watching the film (those of us who know less about what happens inside Washington). I believe the film has held up very well – and it remains a blueprint for what our leaders should be aspiring to: fair government and personal integrity. Not that that would ever happen – except in cases where fairness squeaks by or integrity is allowed to breathe. But it’s nice having this film as a mirror that serves to remind.